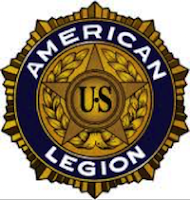 The American Legion Post 227 in Shoreline will hold their monthly meeting on Tuesday evening, February 5, 2019. A meet and greet starts at 6:30pm and the program starts at 7:00pm. Both veterans and the public at large are invited and welcome to attend. Post 227 Second Vice Commander John Brady will conduct the Four Chaplains ceremony. The ceremony commemorates the heroic actions of four chaplains aboard the USAT Dorchester when it was sinking in the Atlantic Ocean in 1943 after being torpedoed by a German U-Boat. Also, Post 227 Chaplain Richard Bologna will discuss the duties of the post chaplain. There will be an opportunity for questions after the presentation. A brief intermission for refreshments after the talk will allow visitors to depart. Post 227 members are urged to stay for the post meeting that will follow the intermission. We hope to see you at the meeting. While you are at the meeting, you can check out the Post Library that includes a large collection of military related books, video tapes and DVDs. Any of these can be checked out, used and returned by post members and community without charge.